The Trump administration is lifting the ban on importing sport-hunted elephant trophies from several African countries, in spite of the fact that the president said in November that he would be "very hard-pressed to change his mind" on the "horror show" of sports trophies. Certain trophies, in accordance with the Endangered Species Act (ESA) and the Convention on International Trade in Endangered Species (CITES), will be considered "on a case-by-case basis," according to a March 1 document that was released, but not publicized, by the Interior Department. But the guidelines for such a case-by-case judgment aren't specified in the document. 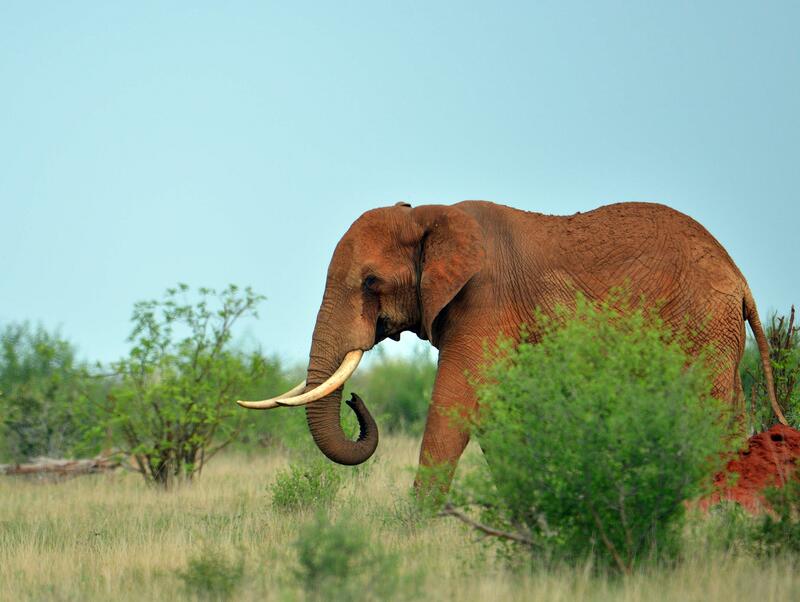 In 2014, President Obama banned the import of sport-hunted elephant trophies from Zimbabwe. However, in November 2017, the U.S. Fish and Wildlife Service said it would begin issuing permits for these previously banned trophies. Soon after the announcement, President Trump said he would "Put big game trophy decision on hold" in a tweet. Interior Secretary Ryan Zinke responded with a tweet that said that both he and President Trump believe "conservation & healthy herds are critical." At the time, Mr. Trump also publicly expressed his opposition to the idea of importing big-game trophies, tweeting, "Big-game trophy decision will be announced next week but will be very hard pressed to change my mind that this horror show in any way helps conservation of Elephants or any other animal." Two of the president's sons, Donald Trump Jr. and Eric Trump, are avid big-game hunters. In 2012, after Cher retweeted a Gothamist gallery showing "Donald Trump's sons are awesome at killing elephants and other wildlife," Mr. Trump tweeted, "Old story, one of which I publicly disapproved. My sons love hunting, I don't." A month after the November series of decisions, the D.C. Circuit Court of Appeals ruled in a Safari Club International and National Rifle Association (NRA) lawsuit that the original Obama administration ban was brought about unlawfully. The Fish and Wildlife Service cited this ruling in its new memo, which addresses not only elephant trophies, but also lions and bonteboks from South Africa. Despite the president's earlier opposition, the department decided to move forward with allowing some big-game sport-hunted trophies from some African countries into the United States.